We can get you back to your car, in no time! If you have reached this page, chances are that you’ve locked yourself out of your car, previously. Or maybe you are locked out of your car, right now? When you look for affordable car lockout service in Allentown, Bethlehem, or Easton, Pennsylvania. Please call us. With the hope that you never lock your keys in the car, we would like to remind you that if by any chance you’re locked out of your car, we can help. You might not believe, but car lockout situations are the most common locksmith services we provide on a daily basis. Car lockout can happen at any time, nonetheless, at least you can expect. It can happen early morning or late at night. You can lock out yourself of your car after shopping or drinking beers in the local bar. You definitely can rest assure that we’ll be there as soon as possible. When we say 20 minutes, we mean 20 minutes. 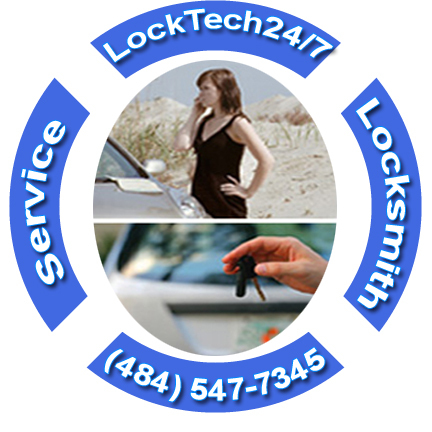 When you want the fastest and best car lockout service in town, you may call LockTech24/7. We’re your 24/7 emergency Bethlehem Locksmith, Allentown and Easton PA Locksmiths in the Lehigh Valley, providing auto lockout services whether you need to unlock the driver door or the trunk. Whenever you need to unlock your car door, we’re here to help. As well as to make a new key replacement for your car, we can do it for you. Whether you’ve locked the keys in the car or you lost your only car keys, we can help. Our locksmith will come to open your car, and if your keys are not inside, we can make a new key to your car. In addition, we can also unlock your trunk, when you’ve locked the keys in your trunk. Please don’t hesitate to call LockTech24/7 in time of needs. Lockout services provided by LockTech24/7 is a pleasant moment to get your car door open, fast. First thing to remember is we’re not only for car lockout service. We can open a truck or tractor. With this in mind, if your are a Frieghliner or International tractor driver and you lockout yourself of your truck, we can help, too. And last, but not least, we’re 24 hour emergency locksmith services.